A Dublin businessman and his wife, who owe more than €1m in mortgage arrears on their family home, have lost the €2m property in Foxrock, Co Dublin. A judge in the Circuit Civil Court handed back the property to the Governor and Company of the Bank of Ireland. Barrister Tomas Keys told Judge Jacqueline Linnane that Adrian Blanc, of Brighton Avenue, Foxrock, Co Dublin, and his wife Lucille owed €1,128,000 in arrears alone on a 2008 mortgage they had taken out over 15 years with ICS Building Society. Mr Keys, counsel for Bank of Ireland, said the Blancs had borrowed €1.7m from the society when their home was valued at €2.5m and used it to pay off an existing loan. ICS loans had been transferred to the bank in 2014 under the Central Bank Act. Mr Keys told the court that monthly repayments on the mortgage were €12,561 but nothing had been paid off the loan for three years up until November last year. For the past six months, the Blancs had been making monthly payments of only €1,000 and arrears were mounting at the rate of €11,560 a month. He said there was now an outstanding total debt of €1,764,000 and the Blancs had refused to sell or allow their home to be sold to pay off all or part of the debt and had, at every stage, attempted to inhibit the bank. When applying for costs after Judge Linnane had made an order for possession in favour of the bank, Mr Keys said "not one inch has been given" by the Blancs. Mr Keys said that when the Blancs had asked the bank for an alternative repayment arrangement, the bank had discovered that one or both of them were in arrears of €932,000 on a portfolio of several properties which had already been repossessed by financial institutions. 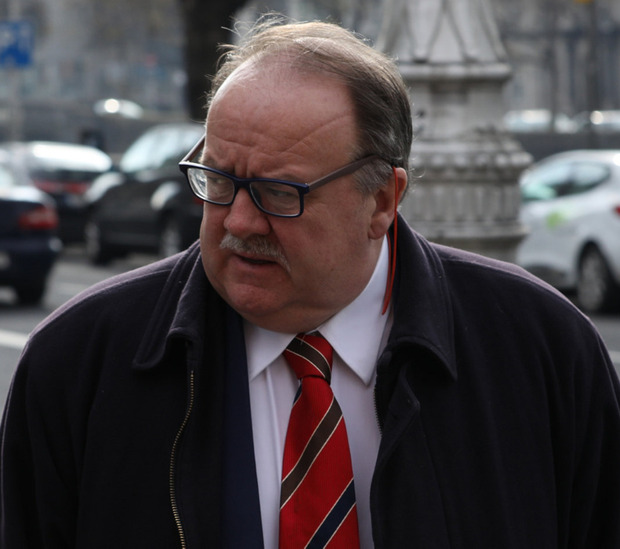 Judge Linnane said the bank's possession proceedings were issued in September 2016 and since then there had been 12 appearances before either the County Registrar or the Circuit Court. It was quite clear that when the loan was taken out the Blancs had a very prominent firm of solicitors advising them, as well as a mortgage broker and their accountants. She said she thoroughly agreed with a contention by the Blancs' solicitor James Maher that the court's focus should be on the default of repayments and not on any particular monetary claim not associated with the proceedings. "It is acknowledged that there has been no payment whatsoever since November 4, 2015," the judge said. "Nothing but nothing has been paid off this loan until the recent €1,000 a month payments." It was quite clear, he said, there was undisputed extensive default in the case and quite clear that no alternative repayment agreement could have been entered into. The bank's papers were in order and it was entitled to an order for possession with costs. Judge Linnane, in the absence of a plea for a stay to allow the Blancs to find alternative accommodation, agreed with Mr Keys that it would in the normal run of events be some time before the sheriff would be acting on the court order.